That's up from 55 mph. 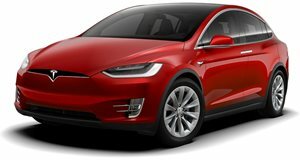 Tesla CEO Elon Musk stated only a week ago that an over-the-air software update would arrive no later than March 29. He delivered right on schedule. Electrek has revealed some specific details about the 8.1 update Tesla owners with Autopilot 2.0 hardware can now have. Along with some fairly standard UI improvements, perhaps the most significant thing here is that the speed limit of the Autosteer feature has been increased from 55 mph to 80 mph. However, Tesla makes clear that vehicles’ cameras will need calibration before Autosteer can be used at the new top speed. 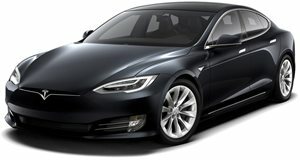 "Model S requires calibration before you can use Autosteer at driving speeds greater than 55 mph. Until the vehicle has finished calibrating, which takes place automatically over several days of driving on well-marked highways." Until the system is calibrated, owners can still use the system up to 55 mph. Another interesting update is the Summon feature, allowing owners to move their Tesla in and out of parking spaces without anyone actually in the vehicle. Until today, this ability was only available with the first generation Autopilot. Also noteworthy is 'Auto Lane Change,' which is exactly what it describes. Drivers are able to initiate a lane change simply by using the turn signal when the system is activated. Why is this all so relevant? Because it’s yet another step closer to fully autonomous driving. What’s next? No steering wheels? Not right away, but one day.